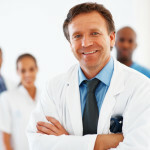 Conscious sedation is accomplished by providing two or three very safe short acting medications that you take by mouth. 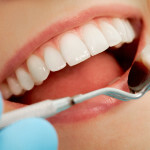 They enable you to relax completely and yet allow us to often times complete all of your dental treatment in one visit. You will have no memory of the treatment we have done for you, which makes it a nearly perfect experience every time. 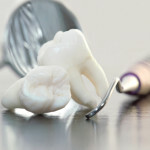 Because I have such a fear of dentistry, I have chosen to do for my patients, what I would like done for me. I have experienced the terror of dentistry. There was one occasion where I was scheduled to have crowns put on two teeth. They gave me FIVE shots and the teeth NEVER did go numb. The dentist didn’t have any other alternative but to just drill on my VERY SENSITIVE TEETH! It was a HORRIBLE experience! To this day, it still affects me when I go to the dentist. 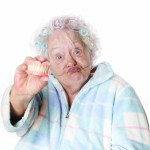 To have my patients avoid a similar experience, I’ve decided to offer oral conscious sedation. I offer this because if the dentist had the training and offered it to me when I was getting the crowns, we BOTH would have had a better experience. It makes it possible for anyone that has the fear that I do, or has a terrible gag reflex, to get all of their work done while they are ‘asleep’. Another benefit is that you get all of your major work done in one appointment, so it is a huge savings of time as well. If you have any questions, call us, or we can even put you in touch with some of our patients who have benefitted from Oral Conscious Sedation.